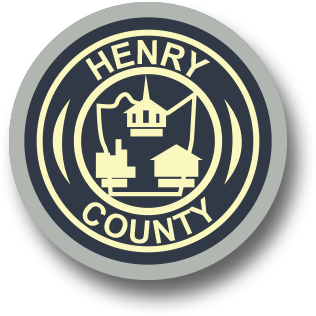 The Henry County Sheriff's Office has designated public parking spaces in front of the office as a location to make legal transactions for items purchased or sold online. The Swap Zone spots are located immediately in front of the Sheriff's Office located at 3250 Kings Mountain Road, Martinsville, VA. The Swap Zone spots are available during daylight hours only. A Sheriff's Deputy will not monitor each exchange, facilitate exchange or keep a log of transactions. The Swap Zone is under 24/7 video monitoring but not watched by Sheriff personnel. There is no guarantee that the Swap Zone will provide a greater level of safety compared to other public locations. The Swap Zone may be used for other legal exchanges, such as exchanging property between individuals or for child custody exchanges. Telling a friend or family member where you are going and when you’ll likely return. Bringing a friend with you to the transaction site. Conducting exchanges during daylight hours and in a public place. Bringing a cell phone and keeping it turned on and on you during the transaction. Trusting your instincts and taking additional safety precautions as necessary. Never be afraid to cancel a transaction if you identify a red flag or have a concern for your safety. Always be vigilant about your personal, physical safety and take precautions to avoid financial crimes such as theft or identity theft. Craigslist, the popular website for online buying and selling, offers updated safety information on their website for consideration. If you think you are a victim of a fraudulent online purchase, report it to the Henry County Sheriff's Office at (276) 638-8751.